Employer Center – Nadine Bocelli & Company, Inc. – New York Legal Staffing, Inc.
Nadine Bocelli & Company, Inc. – New York Legal Staffing, Inc. specialize in providing full-service legal staffing solutions to enhance the profitability and productivity of our law firm and corporate in-house legal department employers. Our consistent quality service and expertise is the key to your success in working with Nadine Bocelli & Company, Inc. – New York Legal Staffing, Inc. Our legal recruiting business is committed to providing timely legal staffing solutions and a strong sense of urgency to law firms and corporate in-house legal departments throughout the New York area. We are recognized as a legal recruitment industry leader, known both for the exert knowledge of our staff of legal recruiters and for repeat business from satisfied law firm and legal department clients. Employers can be assured that we will pre-screen all candidates to assess their skills, qualifications and legal experience. It is virtually impossible to operate an efficient law firm or in-house legal department without finding experienced legal vendors offering superior services. Utilizing the legal recruitment services of a professional legal placement service saves you time and money when you need to find an employee to fill a critical position. We spend our time to save you your time. Legal recruiting is all we do and it is our passion and our profession. In addition, it is our commitment to provide quality service. Nadine Bocelli & Company, Inc. – New York Legal Staffing, Inc. is a fee-paid employment agency. 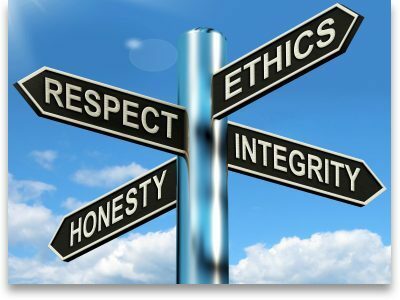 A fair and reasonable fee will be agreed upon prior to any legal recruitment activities. All fees, terms and guarantees will be agreed upon and signed by the agency and the employer. 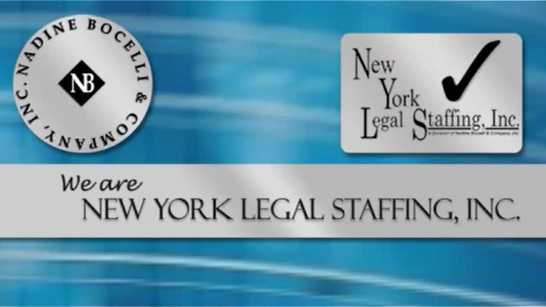 Nadine Bocelli & Company, Inc. – New York Legal Staffing, Inc. will provide complete confidentiality without disclosing the employer’s identity until the appropriate time. We personally meet with all candidates prior to their initial interview with the potential employer. 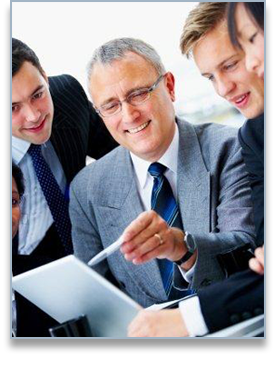 We identify the professional candidate as well as the chemistry of the individual. In addition, all candidates receive specialized legal assessment testing and we will conduct extensive reference checks. If you are interested in listing a legal job opportunity with us, please simply click “Post Direct Hire and Temp Jobs” and complete the job listing form or e-mail the job description to Nadine Bocelli at nbocelli@nbocelli.com and/or contact our office directly at 212.644.8181. Looking to hire? We gladly accept VISA, MasterCard, Discover and American Express for payment of services. There are no additional fees incurred to pay by credit card or ACH.